I’ve been writing since my early school days, and I come from a family of writers. My grandmother was a prolific writer in BC newspapers from the 1940s to the 1970s, my father published a book of stories about Barnston Island in the Fraser River, and my brother Bruce published “Letters to a Driving Nation” (he has more books in the pipeline). The first piece of writing I had published was a poem, followed by an award-winning historical essay. Since then, I’ve written and photographed many magazine articles. But being an avid reader of fiction, it has always called my name. Fiction offers a new avenue for me to explore different characters, different perspectives, different landscapes, different issues faced by society. Full Curl is my first published work of fiction. Is Full Curl the only Jenny Willson mystery? No! Full Curl is the first in a series that will include at least three books. The second novel — “No Place for Wolverines” — was published by Dundurn Press in October, 2018. The third in the series — “In Rhino We Trust” — will be available September 30, 2019. I have at least three more books in the series sketched out beyond that. Why are your Jenny Willson mysteries based in Western Canada and the Pacific Northwest of the United States? 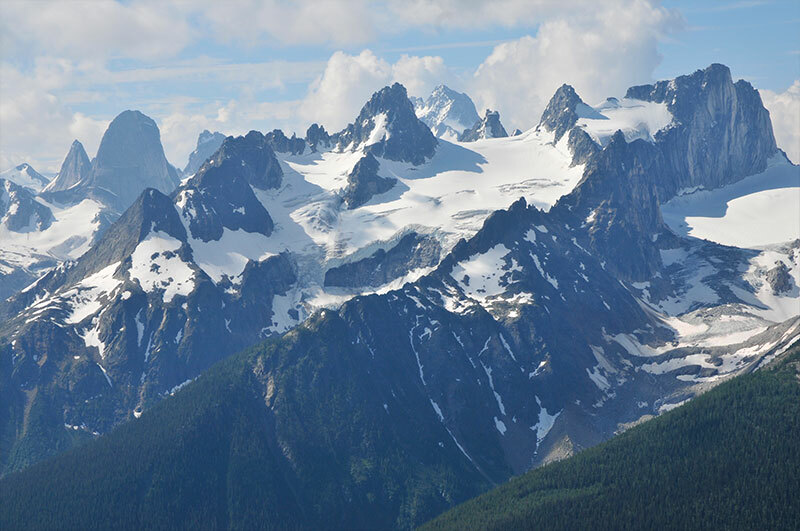 I’m a long-time resident of Western Canada, and I’ve traveled extensively through the Pacific Northwest. I love the landscapes, from rich coastal forests to dry ponderosa pine grasslands to the high alpine. Full Curl: what’s the story behind the story? This is a work of fiction, but it is true that the novel was loosely inspired by a poaching investigation in which I was involved while working as a national park warden in Banff. The story itself had a long gestation; it sat unfinished on a shelf for years before writing professor and celebrated author Angie Abdou persuaded me to dust it off. I had a lucky break when the novel was short-listed for the 2015 Unhanged Arthur Award (best unpublished crime novel in Canada). At the Crime Writers of Canada gala dinner in Toronto, I met inspiring writers, agents and publishers who were friendly and generous with their advice. It was there that I made contact with the wonderful folks at Dundurn Press. What’s Jenny Willson going to do after Full Curl? I can’t give away any secrets, not only because I hope you’ll share the journey with me, but because only Jenny knows for sure. She’s always at least a step or two ahead of me. She’ll tackle at least one more investigation in Canada before she heads to Namibia on a secondment. After that, I get the sense that she’ll travel, perhaps because of a new love interest, and that she and her Parks Canada bosses will have to sort out their differences. Where does the title Full Curl come from? I’ve had people ask me if the book is about hairdressing (no) or surfing (no again). It takes its name from the horns of bighorn sheep rams. If an animal is old enough, his horns will circle around toward the back then back to the front again, passing their point of origin … to form a full curl. It also reflects a story that does the same: returns to its starting point. Where does the title No Place for Wolverines come from? For the first few drafts, I struggled with the title. But then, Jenny Willson gave me the title. When she was talking about a specific place, and the potential for something to happen there, she said “this will be no place for wolverines.” Thanks, Jenny! Given there are many genres in fiction, where does your series fit? Where do I find out more about the author or the series? I post on Facebook about a wide range of items and events of interest (Dave Butler’s Jenny Willson mysteries; @DaveButlerwriter), I tweet now and then (@Dav3butl3rDave) and I regularly share images on Instagram (dav3butl3r). Please join me there, or send me a question or comment via the ‘contact form’ on the ‘contacts and links’ page. I’ll respond to all.